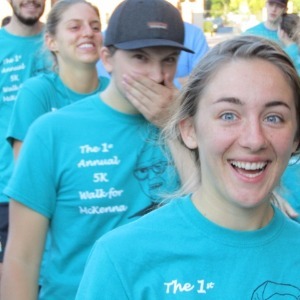 The Walk for McKenna is an annual 5K (3 mile) walk in the neighborhoods that Rev. Horace McKenna, SJ "patrolled" during his nearly 30 year ministry at St. Aloysius Parish. Proceeds from the Walk benefit the programs of the Father McKenna center, serving men experiencing homelessness and families at risk of food shortages. Take a look at this campaign "Walk for McKenna" on Fund by Cell. Click this link to donate https://fundbycell.com/u0kvgs Thanks!